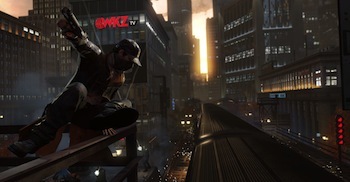 You'll now need a minimum of 6 GB of RAM to run Watch Dogs. Earlier in the month, some minimum and recommended PC specs for Ubisoft's upcoming hack-and-shoot: Watch Dogs, were released via its Uplay digital distribution service. They were surprisingly high, much to the delight of PC enthusiasts, and the disdain of gamers on a budget. The specs were pulled from the Uplay store shortly afterward, and Watch Dogs technical director Sebastien Viard Tweeted that these weren't the real specs, and to expect something a little lower. Now, some revised specs have been put up on the Uplay service, and contrary to Viard's assurance, they are actually higher than the previously released ones. You'll now need a minimum of 6 GB of RAM (up from 4GB) just to run the game, and the Quad Q6600 example processor posted earlier has been replaced with the much beefier Quad Q8400.